What is Little Tiger Chinese Immersion School? Little Tiger is a full-day Chinese immersion school, unique in the Austin area. Our school year runs from early September through late-June. 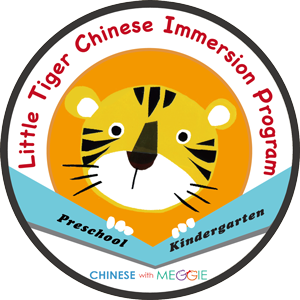 Immersion is a method of language instruction in which the regular school curriculum is taught through the “target language.” In Little Tiger, the Chinese language is the vehicle for teaching subject areas including practical life, language arts, math, science, and the arts. Immersion education mimics the way in which young children acquire their native language. Immersion allows students to acquire the target language faster and more effectively than traditional foreign language classes. Students also develop increased cultural awareness. Mastering another language has significant, life-long benefits on cognitive development. Unlike “Romance” and “Germanic” languages, Chinese has sonic qualities, vocabulary, and grammatical structures that are very different from English. This makes it very stimulating and exciting to young learners, who quickly adapt to their new language environment. More practically, Chinese is spoken by nearly one fifth of the world’s population. China has a very large cultural diaspora, with Chinese speakers living in many countries around the world, including the US. Our family does not speak Chinese. Is this a problem? Not at all. Little Tiger is designed for non-native speakers of Chinese. Make a long-term commitment to immersion education. Communicate closely with our teaching staff. Volunteer in your child’s classroom from time to time, to show the importance of education to the family. How will my child learn to read and write in English? Our teaching staff works with parents to provide guidance and resources that they can use to help their children develop English language reading and writing skills when the time is right. Our Kinder and Lower Elementary children work with our dedicated English Language Arts teacher to develop their English reading and writing skills. During this stage, children still possess what some researchers have called “the absorbent mind.” This means that they have the unique ability to absorb and adapt to their language environment without substantial effort. Unlike older children and adults, they don’t require constant explanations in order to understand the grammatical structures of the Chinese language – they adapt to these structures through regular exposure. The curriculum is differentiated by age, meaning that each student receive lessons that match his or her pace and maturity. Experience has taught us that mixed-age grouping invites cooperation and allows children to help each other. Older children develop their leadership skills, responsibility for others, and pride in themselves by assisting their younger classmates. Younger children learn from their older peer models. By following the older children’s example, the younger children are able to challenge themselves and take on increasingly complex tasks. Who are the teachers and what are their educational and professional qualifications? Little Tiger’s teachers possess extensive classroom experience, master’s degree level training in foreign language education, and expertise in early childhood education. Little Tiger teachers also possess all the skills and credentials necessary to meet the needs of young children, including CPR and First Aid certification. What percentage of class time would you say is expected to be in the Chinese language? In Little Tiger Program, teaching in the classroom is nearly 100% in the Chinese language. (For our Lower Elementary children, English instruction accounts for roughly 10% of the curriculum.) Students will naturally ask questions in English, particularly at the early stage of their enrollment. In most cases, teachers will respond in the Chinese language, using physical gestures, pictures, and visual cues to provide additional context. What can I do for my child’s Chinese education after Little Tiger Program? Chinese with Meggie offers a variety of programs for elementary age learners. 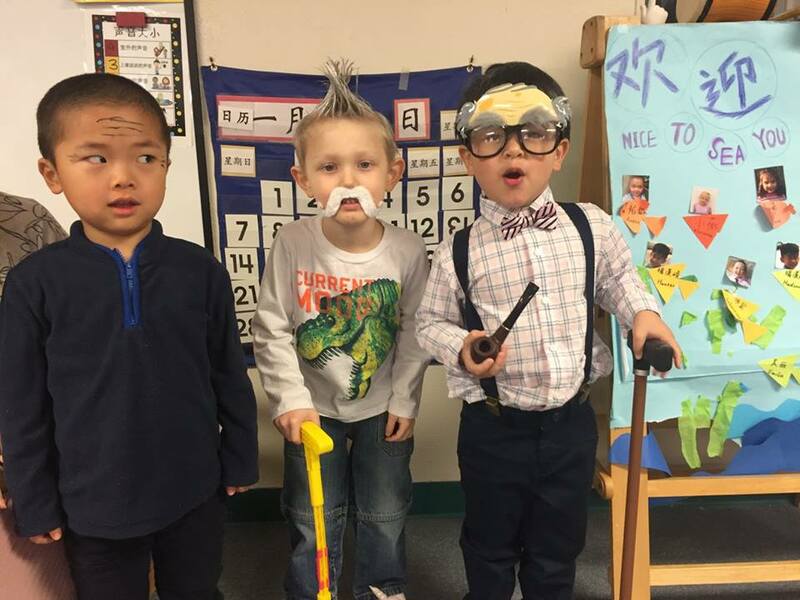 Graduates of Little Tiger Program can continue to develop their strong foundation in Chinese by enrolling in our Advanced Elementary Immersion Program. In this class, students continue to refine their speaking and listening skills while also learning to read and write in Chinese. What else can we do for our child’s language education? Chinese with Meggie offers a two-week summer camp in Beijing, which allows parents and students to have a sustained language and culture experience in China. The camp is open to children 5+ years old. Our Chinese partner school — East District Youth Lake Elementary School — is one of the top-rated schools in Beijing. All students 5+ years old are welcome to join the camp. Do you have after-school extended program? Yes. Students have the option to enroll in our CWM after-school immersion classes. Call 512-380-9552 or email us at info@littletigerchinese.com for more information. Dates of school tours are listed on our front page. Please email us at info@littletigerchinese.com, if you plan to attend. Thanks!